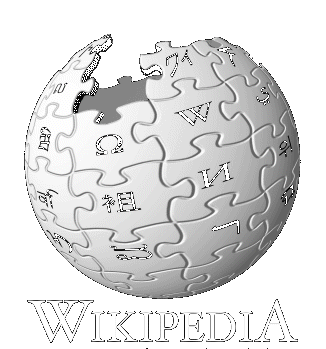 How Did I Become a Wikipedian? I would like to share my experiences of becoming a Wikipedia editor and contributor, which is also referred to as “Wikipedian”. Let it entertain you and also teach you some lessons at the same time. I hope it will encourage you to start contributing to Wikipedia as well and also be a warning about possible pitfalls you should try to avoid. My first Article at Wikipedia, which I edited via my Wikipedia account (and not anonymously. Which I never did, at least not on purpose :)) was the article for “Superior Art Creations” on 12/31/2005. The article was already there, which amazed me (the sheer fact that it existed in Wikipedia). It also made me realize what Wikipedia is and what makes it so great compared to oldschool Encyclopedias like the Encyclopedia Britannica or the German Brockhaus. Wikipedia was not limited in size, like the printed encyclopedias and also not by the finite limit of knowledge and resources the creators and editors of classic encyclopedias have. SAC did not impact the course of world history, but it played a role for thousands of people around the globe at a specific time of the history of Bulletin Board Systems, the Warez Scene and Text Art (ASCII art in particular). I found the article by accident. I decided to write down and make public my activities and experiences, primarily between 1992-1998, in the world of BBS, warez, demoscene, scene art, ASCII art, ANSI art, cracking and cracktros etc. I realized that knowledge about this history was fading and will continue so, if people who were eyewitnesses of it, not start to record it and archive, before they will forget about it themselves or die. The events back then did play a role in events that followed, including major events like the parallel development and growth of the Internet as we know it today, namely the World Wide Web and the introduction of the first commercial web browser called “Mosaic” in 1993 who was developed by people who later in 1994 founded the company with the name “Netscape“, and made Mosaic to become better known as the Netscape Navigator web browser. I wrote some stuff down. A large percentage was about Superior Art Creations, which I founded together with Hetero in December 1994. I made all releases ever made by SAC available online to the public. I remembered about some material and events which I did not have or in some cases did not have anymore. I was trying to find material online, in the hope that somebody else was more forward thinking than I was and kept those documents and maybe even made them public. Before my first “real” edit, did I only make two edits in Wikipedia with my user account. Both were edits of the Wikipedia:Sandbox where I tested how to create links, external links that is. My first “contribution” to Wikipedia was a link to my new pages I created about me, SAC and the Scene back then. If it would have been a highly trafficked article and commercial in nature, my contribution would have been most likely being deleted because of WP:EL (External Links). The content was going beyond the material provided by the article in Wikipedia and was a valid contribution. Fortunately was the edit not reverted, which would probably have caused me to abandon Wikipedia and not continue to contribute to it and have by April 2007 over 2,000 edits of over 300 unique pages, with over 800 of them in the Wikipedia Mainspace. I continued to edit the article the same day. I first corrected the categories the article was in and added references (internal Wiki links) to relevant related subjects. THEN I started editing the main content of the article and updated and extended it. Since I was the founder of the group, did the edits all fall under the category WP:COI (Conflict of Interest). If you want to check the article to make sure that it follows WP:NPOV (Neutral Point of View), feel free to do so. I continued with adding references to SAC to the “Computer art scene” and “ASCII art” articles. I was a “bad” editor who provided only little value to Wikipedia, but to my defense must I say that most people dont start big. I would even bet that most editors got their start at Wikipedia by doing an COI edit. COI articles tend to have the power to motivate that person strong enough to take the big step and actually EDIT a live article at Wikipedia. The rest are probably only people that are picky when it comes to correct grammar and punctuation. Changing the spelling of a word or add/remove a comma etc. requires a lot less courage and motivation than adding actual content to the article, be it a link or a sentence. It would be interesting to make a case study and look at the very first contributions of a subset of Wikipedia editors at all levels, veterans, newbies and administrators and active, little active and occasional active editors. This case study does not exist so my statements are at this point nothing more than speculation and the believe that my experiences and motivations to create an editor account at Wikipedia and start editing stuff, are not that unique and rather typical. Two month after my first edits of Wikipedia did I have my first “run into the locals”. I edited an article that was getting a lot of attention and also a lot of spam. I did not know that back then. I was still a rookie and did not know about any rules and guidelines and organization of Wikipedia. I just finished a very detailed article about Blogs, Blogging, XML, ATOM and RSS. I wrote that thing, because I tried to explain to a non-Geek already two times without success what blogs are, what they are for and how they are different from simple News pages that are being created by a news module of a content management system. I also tried to make that person understand what so cool is about content syndication via RSS. I spent a lot of time on that thing and was actually pretty proud of myself and the result. I thought that the version of the article about “Blogs” at Wikipedia failed to explain what a Blog really is. I still think that it lacks that ability, but I have too much on my table already to even start messing with that article. Anyhow, I decided to add a link to my article, which was originally posted as a blog post at another site of mine, to the “Blog” article at Wikipedia. All hell broke loose after I did it. See the discussion at the articles talk page and also at the talk page of one of the editors called “Monkeyman” who is part of the Wikipedia: Spam project that fights the countless more or less successful attempts to spam Wikipedia. Looking back, I admit that I was wrong. I learned a lot from it though, because it was the first time that I had interaction with other Wikipedians. Others that cared about Wikipedia. I’d like to highlight the statements of one particular editor with the name Rhobite. I will have another contention with him in a dispute about the content of another article. He is a perfect example of a very fair, honest and caring Wikipedian, which you should take as an example to follow. It might sounds funny after all the “nice” conversations we had. What shows his character the best are the facts that he edited and improved content, which I added to an article with a subject, which he is certainly not a big fan of and a great example of WP:WFTE (Writing for the enemy) and also his ability to change his opinion about something after some changes to the environment surrounding the subject. I did ask him to do an Editor Review on me. I hope he will do me that favor. The second person that had strong influence on me regarding Wikipedia was the editor and Wikipedia admin that created the Superior Art Creations article. His name is Christian Wirth aka RaD Man who was the founder of the big and popular artscene group called ANSI Creators in Demand (ACiD). He noticed my edits of the Superior Art Creations article and found my contact information via references from my Wikipedia user pages. I wrote about this already in February 2006 in this blog post. He did? ?teach me a lot about how Wikipedia works and also gave me tips to specific issues I encountered. Our paths never crossed at Wikipedia itself as far as I know, except for the fact that we edited both the SAC article. I showed him discussions I was involved in, but never entered them to support me. I guess he is a good admin, because he did not help me by joining discussions, but by showing me guides and mechanisms available at Wikipedia. He knows that joining a discussion only because I am involved would be full of bias and personal conflicts. He could not be fair and neutral, if one of his “buddies” is part of a group that represents one side of the argument. I edited to-date a large number of articles, which are with a few exceptions all either related to internet marketing or to text art and my scene days as Roy/SAC. I also created 9 new articles already and plan to create more in the future. I hope that my story will encourage you to consider to contribute to Wikipedia yourself. I strongly recommend to get started by working on articles to a subject that are not commercial. Dont start editing articles about your business or company. That can go awfully wrong. Start with something you like and do as a hobby. Always remember the little tab labeled “edit” at the top of each article at Wikipedia, the encyclopedia anybody can edit.